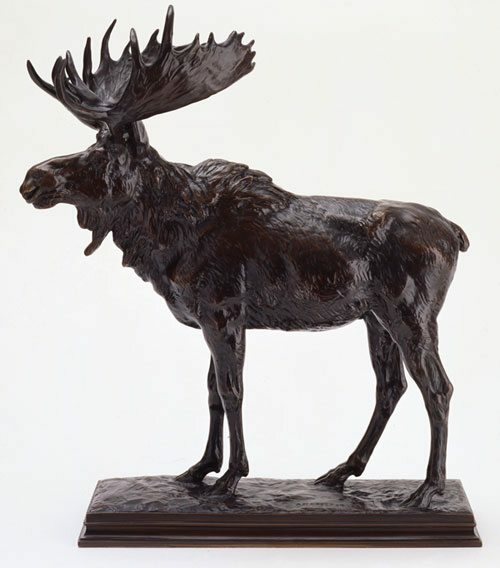 Alexander Phimister Proctor created important sculptural interpretations of western and wildlife subjects and was a significant force in monumental sculpture in the early half of the twentieth century. Proctor studied at the Art Students League and National Academy of Design in New York, and later at the Académie Julien in Paris. His first major project was sculpting life-size animal figures in staff (impermanent plaster and fabric) for the Chicago World’s Columbian Exposition in 1893. 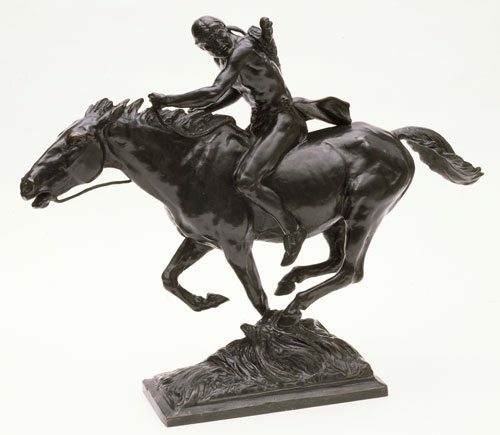 He assisted Augustus Saint-Gaudens by modeling the horses for Saint-Gaudens’s monuments to General Logan, Chicago, and General Sherman, New York. Proctor’s monumental sculptures have become an important part of the civic landscape of America. Among his works are the Buffalo on the Q Street Bridge, Washington, D.C.; Tigers at Nassau Hall, Princeton University; Broncho Buster and On the War Trail, Civic Center, Denver; Pioneer Mother, Kansas City, Missouri; Theodore Roosevelt, Portland, Oregon, and Minot, North Dakota; and Mustangs, University of Texas, Austin. Proctor’s mastery of animal anatomy and his interest in western subjects also became evident in his smaller sculptures. 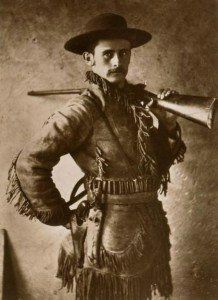 He created striking representations of a stalking panther, a bear head for the Boone and Crockett club, a portrait bust of Iron Tail, and many other subjects. Proctor died in California in 1950. To fully appreciate the extent of our Alexander Phimister Proctor collection—bronzes, plaster models and molds, and sketches, click here for the results of a search.